It’s well past the time to start reducing air pollution in our communities. And what’s one of the biggest sources of local C02 emissions? Freight transport. So what’s being done to make heavy duty truck transport cleaner? In this blog, we’ll discuss why fuel cell technology is perfectly suited to tackle this massive issue. 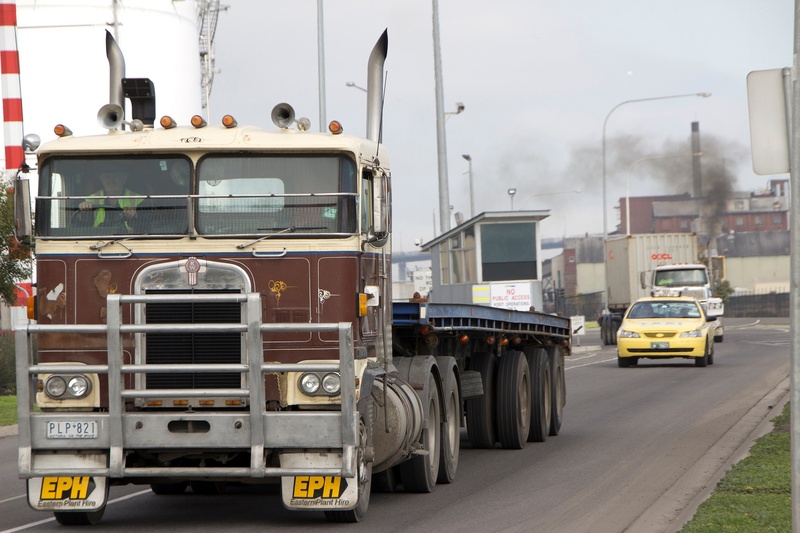 Heavy duty vehicles, including drayage trucks, have a disproportionate impact on the environment due to long duty hours and often older engines. This means freight transport is an area that needs urgent attention. Thankfully, there’s an increasing interest in transitioning freight transport systems to zero-emission technologies. The European Union, China and California are at the forefront of this activity. Several cities and countries in Europe will be banning diesel vehicles beyond 2030. China’s ambitious New Energy Vehicle plan is pushing for a rapid adoption of clean heavy duty vehicles powered by fuel cell technology. A number of initiatives, like California’s Diesel Free by 33, are trying to eliminate diesel emissions and black carbon from our communities. The fuel changeover is coming fast. And fuel cell technology is a zero-emission solution that’s commercialized and ready to be implemented. Fuel cell technology is mature and has been proven in transit bus applications around the world. It’s now being applied to heavy-duty trucks. This includes trucks ranging from 4.5t to 16t (class 3 to 7), which are used to deliver goods into urban areas. 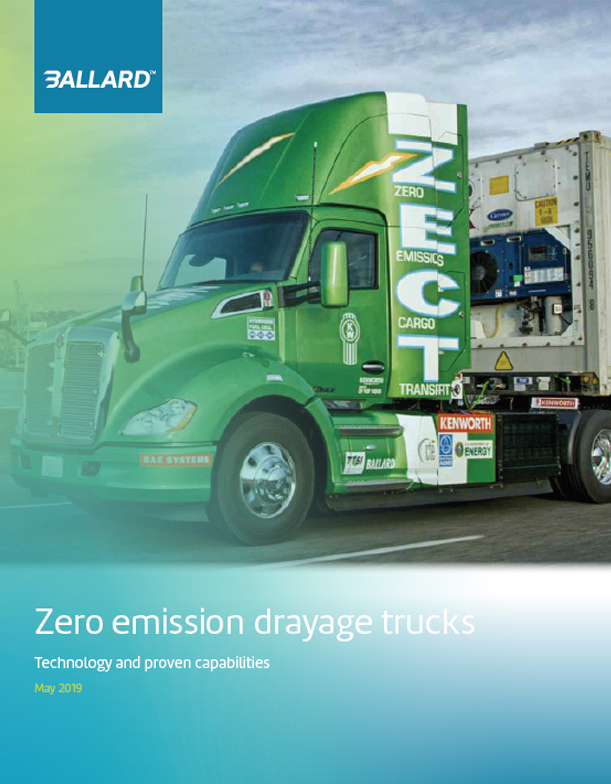 Fuel cell technology is the best zero-emission solution for trucks operating on longer routes and hours, because it provides long range. This is especially true for vehicles with auxiliary loads, like refrigeration trucks, and larger vehicles where payload would be competing with battery weight. These are heavy-duty diesel powered trucks in a tractor-trailer configuration that transport freight over a short distance. Trips happen several times a day, generally from an ocean port to a rail loading area, or to a warehouse. Companies are currently looking at zero-emission solutions for this vehicle type. They aim to find realistic alternatives to diesel-powered propulsion. Several pilot projects for battery electric and fuel cell electric trucks are currently being tested at the Ports of Los Angeles and Long Beach. Is environmentally sustainable, leads to better air quality, and answers urgent zero-emission vehicle mandates. Runs quietly (because there is no engine), which allows for flexible delivery times in urban areas and improves driver comfort. Offers lower operating expenses and higher energy efficiency. Provides extended range (compared to batteries), and fast refueling (less than 10 min) with no compromise on payload. Ballard’s next generation of fuel cell stack, FCgen(R)-LCS is specifically developed for heavy duty applications. It will provide truck OEMs robustness, durability, and lower life cycle costs, which will meet the requirements of fleet operators. Air pollution is a serious public health issue. And the transport sector is one of the biggest contributors to the problem. Fuel cell technology is a proven solution that is ready to be deployed in heavy duty trucks around the world. Let’s work together to advance a global zero-emission revolution for the betterment of society. Over to you! Let us know your thoughts on air pollution and zero-emission technologies in the comments below.